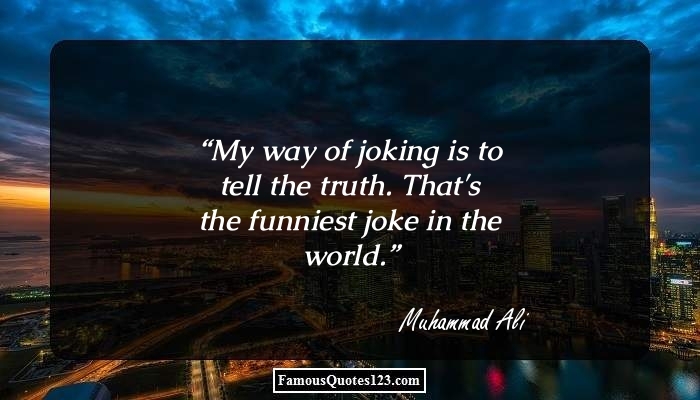 Humorous quotes are intended to make you laugh heartily. Enjoy sharing these humorous quotations and sayings with your friends. It is said that 'laughter is one of the best medicines'. However, the hectic lifestyle of today has made us forget how to laugh. Most of the time, we don't have time for even giving a smile to our loved ones, forget about laughing at some funny joke. It is for this reason only that we have provided a list of humorous quotes, in the lines below. These sayings have all the flavors to tickle the funny bones of almost everyone. You can also use these humorous quotations to cheer someone up or simply have a good laugh. I don?t want to achieve immortality through my work. I want to achieve it by not dying. If you don't know where you are going, you will wind up somewhere else! There are many humorous things in the world: among them the white man's notion that he is less savage than the other savages. If you're going to make every game a matter of life or death, you're going to have a lot of problems. For one thing, you'll be dead a lot. Every man is a fool for at least five minutes every day; wisdom consists in not exceeding the limit. Thank you. I would like to say something truthful about Robert. He knows who he is and has a sense of humor about it. It's a hard business. And to have things happen that are bad and have to go through it with everybody asking you questions about it all day long is tough.